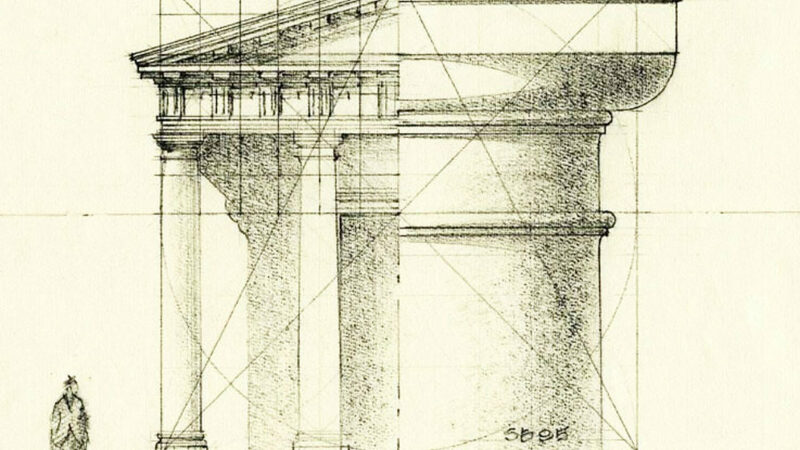 The class provides an overview of the concept of proportion as a design tool in traditional architecture. It is presented in the form of lectures and demonstrations. The content includes an explanation of the concept of symbolic or qualitative number; an introduction to Pythagorean and Platonic numerical philosophy; the relation of number to beauty; the derivation of the ancient musical octave; a discussion of the Golden Section, its mathematics, geometry, relation to philosophy, and particularly its role as geometrical “logos”; and the connection of these ideas to the numerical-geometrical canons of classical architecture. 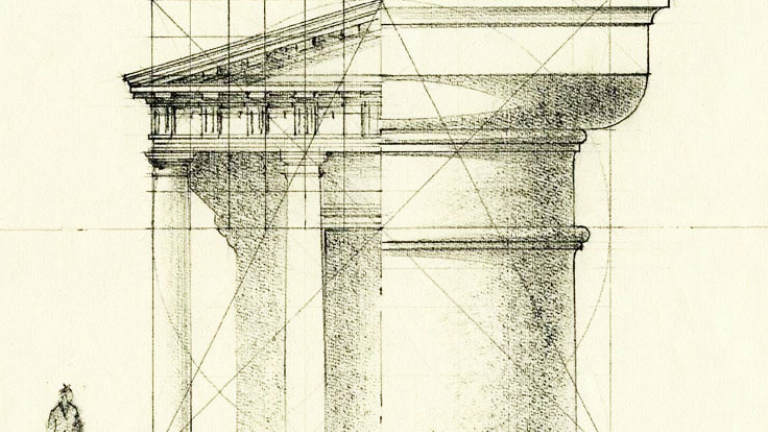 These ideas are applied to historical archetypes, such as the four column portico and the small house, through demonstrations using arithmetic, geometric, and harmonic ratio methods. The course may be taken as an introduction to these ideas or as a review for those who have some background with the subject.